Listing with a local agent will afford you the ease of using a professional but not all realtors are created equal. 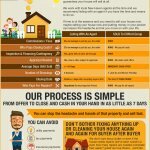 Here at www.sellmycthousenow.com we have created some great resources to help you. You are unlikely to have a real estate agents first hand knowledge of the local market if your selling your house yourself in CT. You can easily lose money by undervaluing your house or not sell at all by overvaluing Your home. Sell My House Myself – With An Agent – Or To A Cash Buyer? This may not sound difficult and for most people taking on the challenge is nothing new. Have you ever made any minor repairs around your house to save a few bucks. Maybe fixed a leaky faucet, changed a smoke detector, Tile a bathroom or attempting to cut your kids hair with the flowbee from 1986 it exists google it! If you put your mind to it and do the research anything is possible. So is Selling your CT home yourself any different? We asked a few retired realtors in Connecticut. This is what they had to say.. If the market is right and your not in a big rush to sell then.. Maybe selling your house yourself is a good idea. Typically the 6% commission is split between the buyers and sellers agent. For a $300,000 dollar house in Connecticut that would be $18,000 bucks for the commission. That’s a lot of coffee runs. Well if you sell it yourself and your buyer has an agent you will need to give the buyers agent $9,000. Your still going to save $9,000 which is not to bad. If your buyer does not have a realtor chances are they know about the 6% commission and will immediately offer you 6% less. If you take off the 6% commission when pricing your house you can justify the below market value of your house by telling buyers you already discounted the house. Can You Be Firm When Negotiating? Most realtors will only want to show a home to pre-screened and approved buyers. Makes Sense they do work crazy hours showing houses to picky buyers. Do you have time to show your house to everyone and there mother. One scheme a realtor told me about involved people (Robbers) walking through a house taking mental notes of all the nice expensive items that they can come back and steal later. Besides when they walked the property you probably weren’t home so they already know when your not there. My Point.. You need to be prepared to say NO to people. If that makes you uncomfortable then maybe selling your house yourself is not for you. How Much Is My CT House Worth – Some Technical Stuff.. The Assessed value. What it is and isn’t. If your looking for an appraised value you can have a professional appraiser do this. Make sure to tell them this is going to be the price you use to sell your house. They will have to come to the property and do there research. Keeping everything clean and clutter free and help with your overall appraisal number. They are going to pull comps (Recently sold houses) in your area. You are looking for at least 3 sold houses in your neighborhood to get an accurate comp. Don’t Worry if there are not any chances are there are houses under contract with offers and they can use that info as well to come back to you with an accurate appraisal. Well how much are you willing to pay. Ever fall in love with something and have to have it. Been there done that and i have over payed for real estate by falling in love. 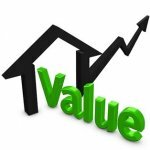 If you get an appraisal and feel it does not represent a fair value and you have taken into consideration the commission you may have have a realtor do a CMA (Comparative Market Analysis) On your home if you choose to list with a local realtor. Most buyers will want a move in ready house without having to spend any money or time out of there lives. You need to look at your neighborhood and whats for sale to get an idea of who your competitors are. you can do a quick search on www.zillow.com in your neighborhood to see what’s selling. Look at the photos. Your house needs to be as good if not better then there’s. Be careful with renovations some can cost you more than what you will get in return. I have seen people renovate bathrooms using materials and colors they thought looked good but they forgot to do what pleases the masses. What Needs to Be Done to Sell Your House Fast In CT? Your home is your castle, and you probably think it’s perfect. Who wouldn’t want to buy it? Well, to be honest… most homes need a little prep before listing. So Is listing your house with an agent your best option? In some cases yes.. Listing with an agent can be your best option if you have time to wait and are willing to enter into a contract. What if you had another option. Instead of listing your house with an agent you could sell your house fast sometimes within a week or even on the date you choose. We have but together a great page with the benefits of selling your house to a professional home buyer. Here they are SHHH..
You are less likely to have your sale fall through and there’s no need to wait for a buyer to bring you an offer, get a mortgage, have an inspection and hopefully not get cold feet. With a Cash Buyer yes you will get a little lower offer on your house but if time is of the essence and you need to sell your house fast because of a change in your situation or life we may be able to help. Most cash buyers will do a free market analysis and give you all the facts about your house including what your house is worth. Here at Clifford Group we are totally transparent with our simple Step-By-Step system we use to make offers and buy houses in Connecticut. Cash is always king with any real estate deal… Yes you will get a little less of any offer but no need to make any repairs or wait for a buyer to find you. If your looking to sell your house fast maybe we can help. Here are a few tips when your looking to sell your house fast in Connecticut.. When you do line up that cash buyer and receive a offer that is except-able and meets your needs , you’ll want proof of funds from the cash buyer before you agree to anything. All Cash home buyers are not created equal. 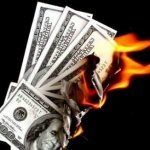 Unfortunately some cash buyers do not have your best interests in mind. Here at Clifford Group we look to create a Win-Win solution for both us and the seller. If the deal does not work for you and us we simply won’t do the deal. When we buy houses our intent is to repair and resell properties. Yes, cash is king in a real estate deal if you’re on the receiving end. You may get a little less for your property, but you can avoid costly repairs and other complications while enjoying speed, convenience and less paperwork (and worry) in the process. No need to wait for a realtor to find you a buyer. If time is not on your side and you need to sell your house fast. Read Below some key benefits of selling your house fast to a local professional home buyer. Since your house will be bought using cash and no banks are involved delaying the process. Most real estate investors can close fast in as little as 7 days. As a cash buyer we are always flexible on the closing date because we have the cash available to close this week or next month if that’s the time you need to sell your house. Repairs can be costly especially if you hire them out to a local professional. Most home buyers will want a move in ready home and will require any repairs be done prior to buying your home. Depending on the condition of a home financing may not be available and may cost 10’s of thousands of dollars to make those repairs before selling your home on the market. Keeping your house clean and free of clutter even removing all the items in your home like pictures and family items to make your home look more appealing to buyers can be a huge hassle. And the best Part.. There’s no need to have people walk through your house on a regular basis and especially on the weekends. When you sell your home to a professional home buyer for cash, you don’t have to pay commission for a real estate agent, which is typically 6%. With a professional home buyer you pay ZERO fees. You don’t have to worry about inspection costs, closing costs, seller concessions, allowances, or any other fees or commissions.